Alphabet (NASDAQ:GOOG, NASDAQ:GOOGL), through its Google search engine, has become an indispensable part of everyday life. However, that fact alone hasn’t spared Google stock from suffering steep losses over the past few months. Since closing at an all-time high on July 26, shares are down more than 18%. Ordinarily when a stalwart gets priced down double digits, contrarians jump on the opportunity. But understandably, the markets are cautious. The other members of the so-called FANG stocks, Facebook (NASDAQ:FB), Amazon (NASDAQ:AMZN), and Netflix (NASDAQ:NFLX), have arguably forwarded weak performances. Comparatively speaking, the bears have been kind to Google, but that generosity could quickly fade. Proponents for the internet giant may point to its dominance in its core business. Unfortunately, you can say the same thing about Alphabet’s FANG rivals: Facebook dominates social media, Amazon dictates terms in e-commerce, and Netflix is synonymous with content streaming. Clearly, owning market share hasn’t translated to market gains. And obviously, Wall Street has more than enough excuses to divert to safety. As a consumer-technology firm, Alphabet stock doesn’t strike most investors as a safe-haven asset. The last two decades has witnessed the dawn of the internet and its transformative effect on every corner of society. Google of course levered substantial influence on this development. And now, they have their eyes set on the next two decades and beyond. Last month, Google introduced its long-awaited commercial taxi service, Waymo in Phoenix, Arizona. Unlike every other offering in the sector, Waymo is completely driverless. A round-the-clock service, users can hitch a ride through a smartphone app. The conveniences are obvious. Primarily, riders don’t have to worry about the human element. The Waymo AI is not going to drive drunk, nor deliberately break any other traffic laws. It’s going to do exactly what it’s told without any funny business. Moreover, Google won’t have to worry about behavior-related PR crises and possibly lawsuits. At the same time, Waymo’s weakness is that it doesn’t have the human element. Surveys find most people don’t trust driverless vehicles. High-profile incidents involving such technologies don’t help the matter. Still, looking at the bigger picture, I’m bullish on Waymo, and by logical deduction, Google stock. First, trends suggest that we cannot “drivered” vehicles. Last year, a CNN investigation revealed that more than 100 Uber drivers may have committed sexual assault or abuse. That’s just not going to happen with Waymo. Second, other emerging technologies such as the 5G rollout will invariably aid the driverless revolution. Phoenix may be playing the guinea pig today, but Waymo could eventually define tomorrow’s transportation landscape. With tech firms increasingly focusing on the cloud, the idea about producing hardware seems anachronistic. As smartphones and tablets have captured consumers’ attention, little room exists for clunky, space-hogging devices. The exception is whether you can attract people to your hardware offerings. One of the reasons why Microsoft (NASDAQ:MSFT) successfully rode its comeback campaign was due to its revamped PC lineup. Alphabet embarked on a similar journey with its smart speakers, setting up an intriguing proposition for Google stock. Through reasonable deduction, Alphabet’s hardware division is an unsung hero. Management doesn’t separate out its hardware results, instead bundling it into its “other revenues” category. This rather unhelpful description also includes sales from outfits such as Google Cloud and Google Play. Nevertheless, we can pick out market share data for its flagship hardware, and come up with a solid framework. For instance, Google has a stranglehold in the number-two slot for smart speakers. Additionally, Alphabet has chipped away at Amazon’s dominant position since the final quarter of 2016. Even after the smart-speaker concept has lost its novelty effect, AMZN and GOOG are currently the only two competitors with double-digit market share. As a bonus, Apple’s (NASDAQ:AAPL) offering has almost-completely lost relevance with consumers. In the long run, Google has a chance to assume the first-place ranking. The company’s unprecedented coverage in all things internet provide ample synergistic opportunities. Earlier, I mentioned that GOOG faired better than its FANG rivals. I believe this is for a completely rational and expected reason: Alphabet is irreplaceable. I’m not knocking the FANGs as I’m optimistic on the group. But I’m also realistic. I love content streaming, but I don’t absolutely need it. Ditto for Amazon and ecommerce. In fact, if we slip into a prolonged recession, AMZN will certainly suffer turbulence. As for Facebook, I think the platform is useful, but not indispensable. Alphabet is, which is why I’m taking a long look at GOOGL stock. Honestly, I couldn’t do my job half as decently without Google’s world-class search engine and its cloud services. Thanks to its vast networks, the company is my go-to resource for any professional endeavor or personal whim. To put it simply, I wouldn’t know what to do with myself if Alphabet collapsed. I’m virtually certain that most others feel the same way. For this reason, and management’s never-ending quest for new opportunities, I’m confident that GOOG stock will turn itself around. 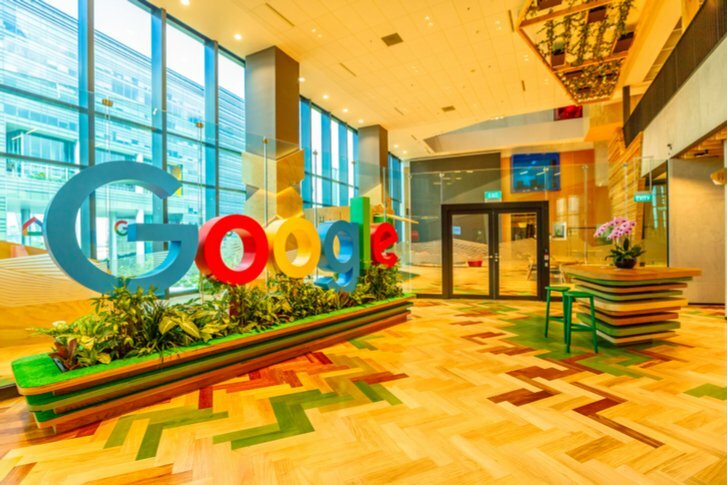 Article printed from InvestorPlace Media, https://investorplace.com/2019/01/google-stock-fang-you-can-trust/.